You don’t have to work around heavy machinery or volatile materials in order to be surrounded by workplace safety concerns. 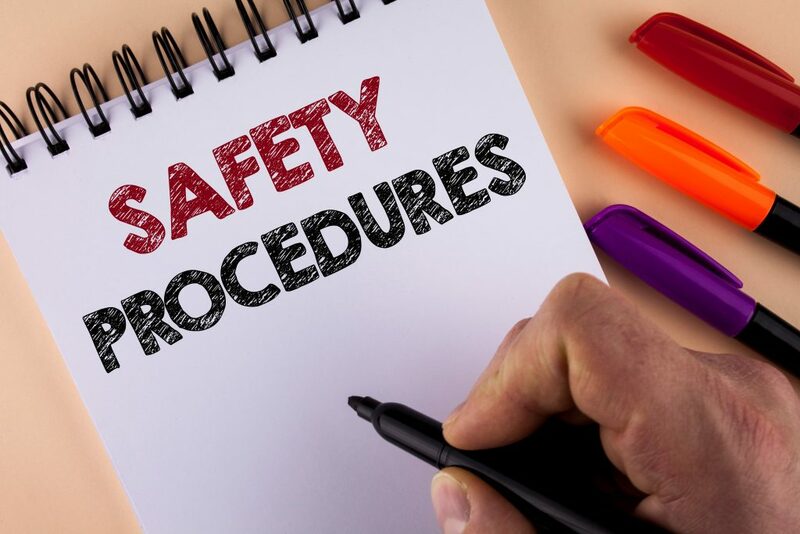 Every type of job comes with hazards and employers have to work to alleviate them for the safety of their employees and to be in compliance with the Occupational Safety and Health Administration’s (OSHA) standards. While some hazards are less likely to occur in some work spaces as compared to others, it's important to assess which ones may be most damaging to the business and its employees. Below are some key workplace safety concerns that can apply to employers in all different industries. Effective housekeeping helps reduce or eliminate workplace hazards. Housekeeping doesn’t just refer to cleanliness, but also includes keeping work areas neat and orderly, ensuring that halls and floors are free of hazards, removing waste materials from work areas regularly and checking that life-saving equipment like smoke detectors, fire extinguishers and emergency sprinklers are in working order and are not being blocked by anything. When workplace housekeeping is lacking, it can directly contribute to a rise in employee accidents and injuries or other costly incidents. Any and every workplace should have at least some basic cleaning products stored somewhere, and there are often hazardous chemicals in the mix as well. When chemicals are stored for long periods of time they can become even more hazardous. Chemicals in some cleaning products can be corrosive, which can irritate the skin, cause rashes and/or severe burns if splashed on the skin or in the eyes. OSHA standards require employers to provide safe working conditions for employees that are using cleaning chemicals and to train workers on safe work practices for using these chemicals. Extension cords can come in handy for a variety of reasons, and are often used when additional electricity in needed in an area temporarily. The key word is temporarily, as using an extension cord for an extended period time is a definite safety hazard in more ways than one, even if the workplace itself is impeccably clean and well-maintained. Improperly grounded electrical cords can be a major fire hazard and cords that cross into walkways or common areas can be a serious slip and fall hazard. OSHA considers any extension cords that are used for more than a week to not be temporary, so if your electricity needs change, it’s best to have an electrician come in to add a proper outlet or two where they’re most needed. For some employees, taking time off work can be more stressful than coming into work while not feeling well. In the U.S. especially, sick day and paid time off benefits are often very limited, causing employees to feel stress and guilt for taking a day off, even if they really need to. But when employees come into work sick they become a hazard to their colleagues. While a minor cold may not be a big risk for most employees, those who have chronic illnesses, suppressed immune systems or are pregnant can be more at risk for a cold turning into something more serious. Encouraging sick employees to stay at home and promoting hygienic practices in the workplace can go a long way in reducing the spread of disease within a company and make the workplace safer for everyone. While the employer is ultimately responsible for the well-being of their staff while in the workplace, human resources has a vital role in ensuring employee health and safety too. A knowledgeable and dedicated HR representative can advise an employer on techniques to encourage and maintain employee health and safety in the workplace and reduce the employer’s liabilities and compliance concerns.